Ready for your home projects! 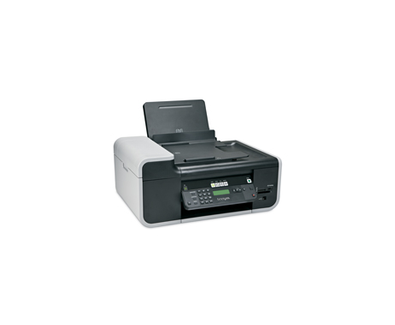 Speed through the Lexmark X5690 easy install and then print fast, copy with 1-touch of a button, send a fax or direct print lab-quality photos with USB Flash drive or Memory Cards. Even connect your laptop easily with the quick-connect front laptop port. (1) Non-refillable cartridge licensed for single use only. Return empty cartridge only to Lexmark for remanufacturing, refilling or recycling. A variable amount of ink remains when this cartridge must be replaced. Replacement cartridges (4A, 5A) sold without those terms are available through www.lexmark.com.